We left Atenas Sunday morning for a quick trip to Manuel Antonio, a beach and national park about 3 hours away. We stayed overnight at a hotel and returned midday Monday. The park is a rainforest along the beach and God helped us to be able to spot a number of different animals. We were able to see several monkeys, a snake, a sloth, an iguana, lizards, frogs, red legged crabs and hermit crabs. There are several beaches in the park with beautiful emerald green water. We all had fun seeing the animals, playing in the ocean and finding seashells on the beach. Walking to the beach we were not able to see any monkeys. Eliana was praying that God would help us to see some monkeys in the park and He answered her prayers. 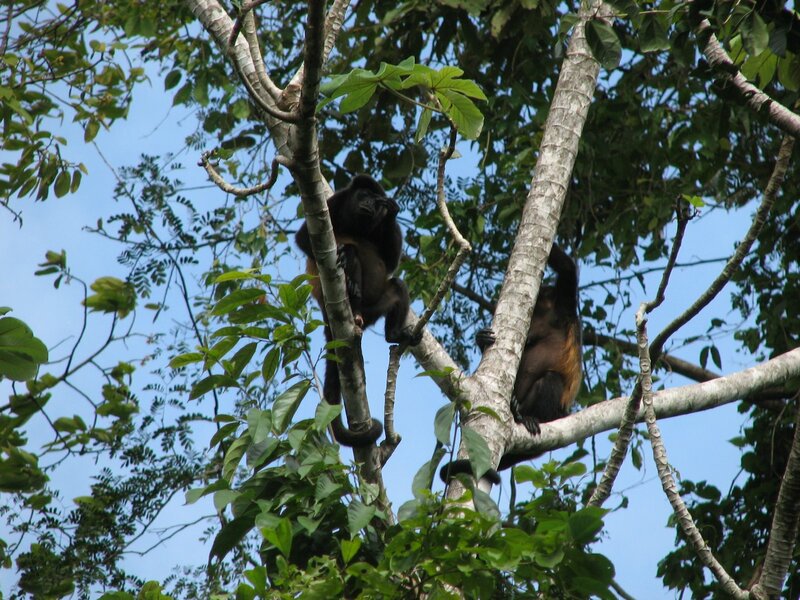 On our way back home, up in the trees above us was a group of 5-6 howler monkeys playing and swinging on the branches. I couldn’t get a good picture but there was even a little baby clinging to the back of one of the monkeys. There were several hermit crabs running around the beach. I caught one and he agreed to come out of his shell and pose for a picture. We were walking along the trail and some people were looking at the ground back in the trees off the path. They pointed out several of these little red legged crabs, about 2-3″ across. The picture doesn’t really do justice to the bright Husker red color of their legs. We hadn’t planned ahead on our trip into the park so we didn’t have swimsuits. 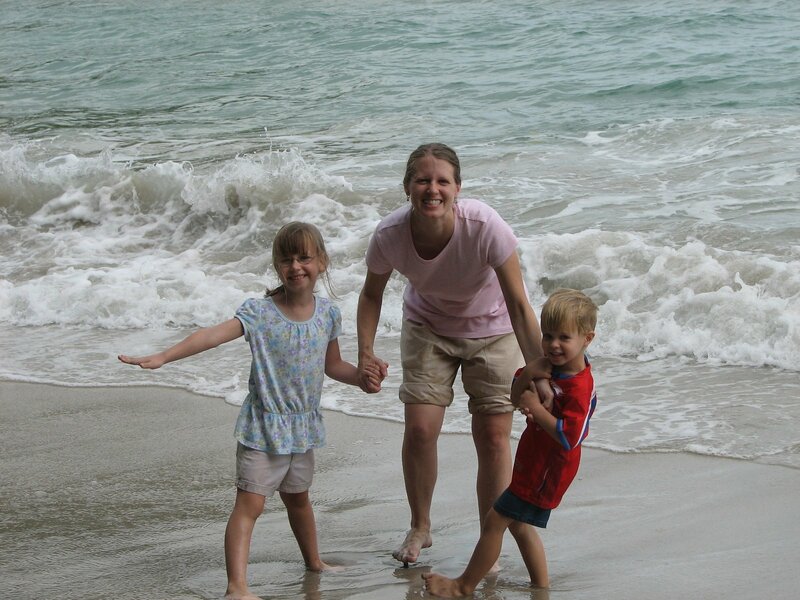 Kris and the kids decided to wade in so they could get their feet wet. They kept drifting further and further into the water and it wasn’t long before Elijah took a spill and was completely wet. A few minutes later Eliana and Kris also slid all the way into the water. They had a fabulous time splashing in the water. Daddy stayed dry and took pictures. It was a wet hike home but well worth the time. Monday morning we spent some time on the beach looking for seashells. We found a large collection before I found a perfect smooth little shell. To my surprise this one was still inhabited! We snapped a few photos before we sent our little snail (or mussel or whatever it was!) back on its way in the ocean. This entry was posted in Costa Rica, Matt's Thoughts and tagged beach, Costa Rica, rainforest, seashells, vacation. Bookmark the permalink.